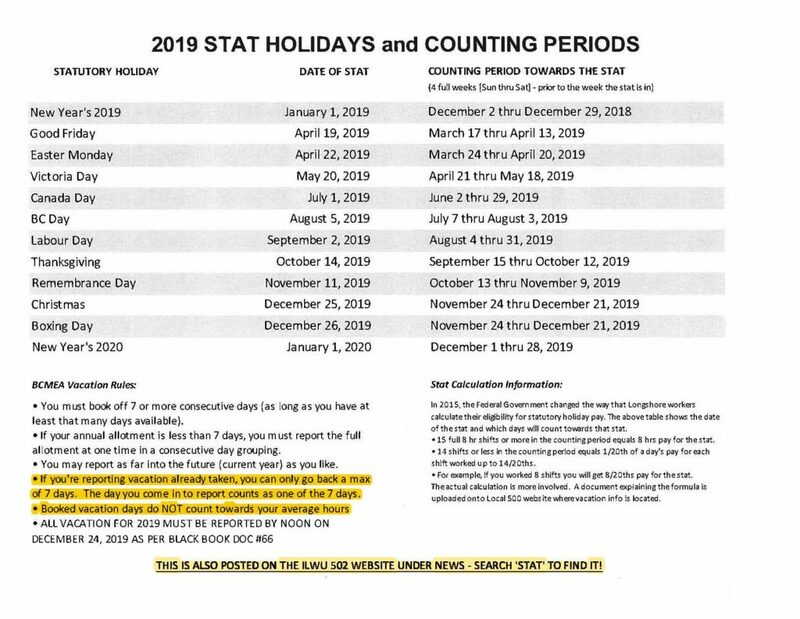 To book holidays please email myself (secretary@ilwu502.ca) or Geetika (assistant@ilwu502.ca) or call Admin or myself. Email is preferred. Vacation days are used towards being paid for the Stat and/or to keep your benefits active. They are NOT used towards your average hours.